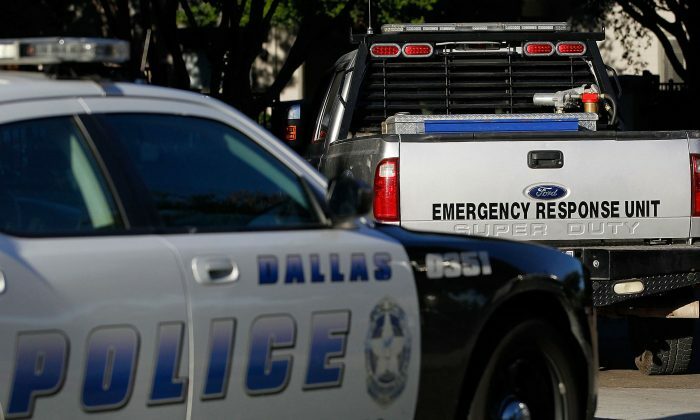 Police northeast of Dallas, Texas, are investigating the death of a man and his children, which appears to be a double-murder-suicide. Police in North Richland Hills said the children’s mother, Rachel Dawson, called them around 7:15 a.m. on Dec 9. She reported that she had entered the dwelling on the 7400 block of College Circle South and found her husband and children dead. “Officers found a 5-year-old female, 9-year-old male and adult male all deceased from apparent gunshot wounds,” reads the official North Richland Hills police report. Police determined that Rachel’s husband, Chris Dawson, shot his children, with a shotgun and then turned the weapon on himself. Police said they had never been called to that residence before. Neighbors told CBS11 that the family had seemed fine a few days earlier, when they were outside hanging Christmas decorations. “You can drive by and they can have a perfect house, but you don’t know what’s going on inside the house. It’s so sad,” said Rosa Nichols, who lives a few doors down. “You never know. You just have to be kind to people when you have a chance because you don’t know what they are going through inside their home,” said Nichols. The Dawsons had moved to North Richland Hills from the Wrigley Terrace neighborhood of Phoenix, Arizona only a few months earlier. The Dawsons’ neighbors in Wrigley Terrace, were less surprised to hear what had happened. “We saw warning signs but I don’t think anyone could have guessed that this would’ve happened. It shocked everyone,” former Wrigley Terrace neighbor Ariel Borg told KPXN News in Arizona. Ariel Borg met Rachel Dawson at an exercise class. She got along well with Dawson, and her children were friends with Dawson’s children, Luke and Bree. “I met Rachel at a boot camp class and she would bring her kids, Luke and Bree, sometimes,” Borg told KPXN. But while she enjoyed spending time with Rachel Dawson and her childrenie, she had her doubts about her husband, Chris. Ariel Borg is hosting a candlelight vigil at her home for Rachel, Luke, and Bree Wednesday night, Dec. 13. It will be led by her family and the pastor of the church the Dawsons once attended. “This community is feeling that loss. Her family was our neighbor,” Borg said.